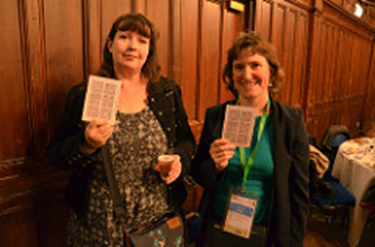 OER16 Open Culture, the Open Educational Resources conference, took place on 19-20 April 2016 at the University of Edinburgh, ably chaired by Lorna Campbell and Melissa Highton. 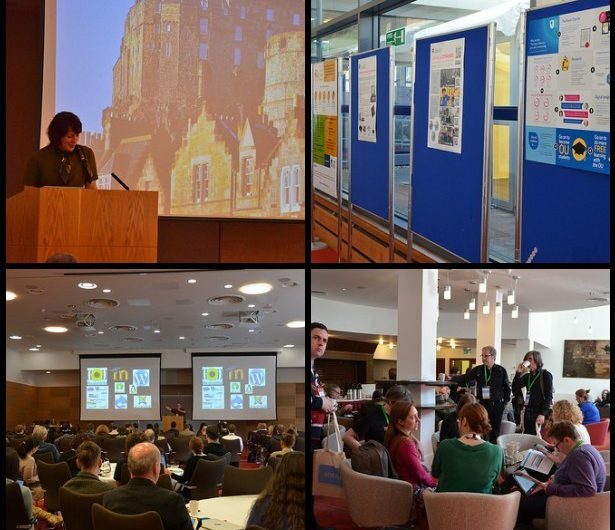 The OER community pulled together to organise the conference and contribute presentations, workshops, panels, lightning talks and posters to the programme to complement the keynotes given by Catherine Cronin, Emma Smith, John Scally, Jim Groom and Melissa Highton. It was good to see a majority of women in the keynote speakers – no #allmalepanels at #OER16. The keynotes framed the programme, as you can see from these visual representations. 1. Strategic and reputational advantages of openness (including, but not restricted to, outreach, public engagement and return on investment). 2. Converging or diverging cultures of openness (including open data, open science, open GLAM, open knowledge, open source, open content, open access). 3. Hacking, making and sharing. 4. Innovative approaches to opening up cultural heritage collections for education. 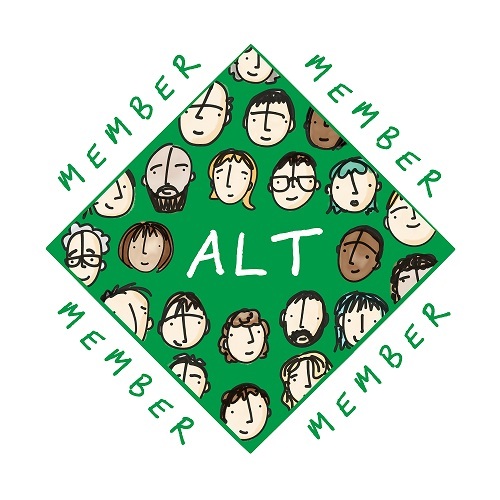 As well as volunteer support, OER16 received valuable organisational and practical input from ALT, the Association for Learning Technology , before and during the conference. Maren Deepwell, Anna Davidge, Martin Hawksey (all from ALT) and Jo Newman from University of Edinburgh were very much in evidence at the Reception desk, registering participants, handling technology for multimedia and generally making everything run smoothly. Sponsors and exhibitors also played their part. This was my first OER conference, and so this is very much a newcomer’s perspective, although I already knew quite a few of the people who took part. OER16 was a very friendly conference with lots of chatting and smiling in refreshment breaks and at the conference dinner, where there was a picture matching game to encourage networking. The images used are openly licensed and available from the Centre for Research Collections, University of Edinburgh. 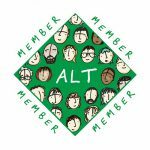 It was no surprise to me that the programme was rich and varied because I had worked with Kirsty Whitaker and Ken Bauer on organising the review process, and we saw interesting submissions further improved by the reviewers’ work. 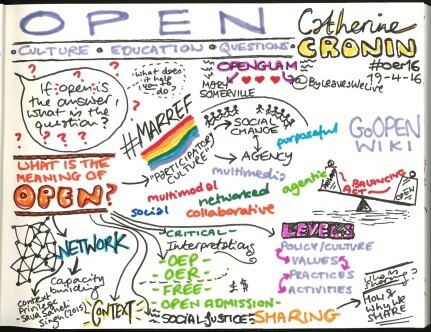 In keeping with the spirit of open, OER16 spawned a wealth of open resources – images, videos, tweets, blog posts, talk radio interviews. Those who could not attend were able to participate remotely in a variety of ways. They could view a number of the sessions as live stream or watching recordings subsequently at the ALT Youtube channel. Radio Edutalk, run by John Johnston, broadcast interviews on both days, and there was a Virtually Connecting session on Day 1. Participants could network with each other via social media channels such as flickr and Twitter using the tag #OER16. 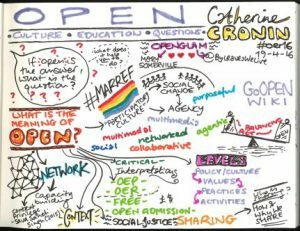 If you missed all or part of OER16, here are some open resources that you can explore. Lucy Crompton-Reid gave us a great summary of Day 1, and other bloggers contributed their own slices of OER16: Jackie Aim, Debbie Baff, Frances Bell, Lorna Campbell, Catherine Cronin, Tony Coughlan, Maren Deepwell, John Johnson, Dave Kernohan, Alan Levine, Sheila McNeill, Keith Smyth, Martin Weller, Joe Wilson. Joe also gave us a Storify from #OER16. Anna Page shared an OER16 album on flickr, and quite few photos popped up with the OER16 tag on flickr. There is a collection of OER16 slideshows at Slideshare and even a video that was Pat Lockley’s contribution to a panel session. The conference concluded with news that gives us all something to look forward to: OER17: The Politics of Open chaired by social and educational technologist and Wikimedia UK Trustee Josie Fraser, and Alek Tarkowski, Director of Centrum Cyfrowe, co-founder and coordinator of Creative Commons Poland.